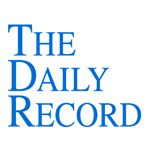 This week's Daily Record column is entitled "Cloud Computing for Lawyers: Back to the Basics." When I tell people I’m writing a book about cloud computing for lawyers, oftentimes, I’m met with a confused look from lawyers and non-lawyers alike. It seems that most people have heard the term “cloud computing” bantered about, but few know what it actually means. So, I figured it was time for a back to the basics primer on cloud computing for my readers, since the concept is quickly picking up traction. It’s important to understand what it is, why it matters and how you can use it. First off, you may not realize it, but you already used cloud computing in one form or another. 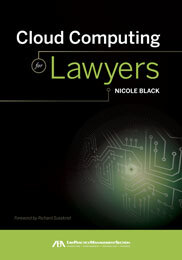 In fact, many lawyers have been using cloud computing in their law offices for years. For example, if you use Westlaw or LexisNexis for legal research, then you’ve been conducting legal research in the cloud. Similarly, if you’ve ever used an Internet-based email platform, such as Gmail, Hotmail or Yahoo mail as your email platform, then you’re using a cloud computing service. And, even if you don’t personally use an Internet-based email service, if you’ve exchanged emails with a client who uses one of these email platforms, then the emails that you’ve sent to your client are now stored in the cloud. If you store and share your photos online using Flickr, Picasa, Shutterfly, or Snapfish, then your data is stored in the cloud and you use cloud computing. When you search for information using Wikipedia, you’ve accessed an encyclopedia based entirely in the cloud. When you interact with online music or videos, such as listening to music on Pandora, watching a television show on Hulu, viewing YouTube videos or streaming a movie from Netflix, you’re consuming media stored in the cloud. I could go on, but by now it should be obvious that cloud computing has been part of your life for some time now, even if you weren’t aware of it. Of course, that begs the question: What exactly is cloud computing? Simply put, when you access data stored on someone else’s servers, then you’re using cloud computing. In other words, cloud computing allows you, via an Internet connection, to access software or data that is stored and operated on someone else’s computer systems. The cloud computing provider, in turn, uses shared computer resources, including software and servers, to deliver information and services to you, the end user. So, while “cloud computing” may at first blush sound like a foreign concept, it’s actually more familiar than you might think and is undoubtedly the next stage of computing. For that reason, it’s important to learn about cloud computing and ensure that you have a basic understanding of it. Of course, using cloud computing services into your law firm is not without risk. As is the case when implementing any new service or product into your law practice, it’s important to exercise due diligence by carefully researching the product or service, considering your options, and weighing the risks against the benefits. Only after doing so will you be able to make an educated decision as to whether using a cloud computing product makes sense for your law firm.